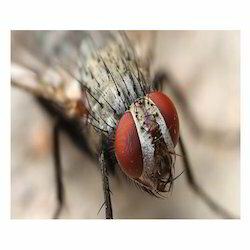 We are the leading service provider of Fly Control Services. With an aim to fulfill varied requirements of our valued clients, we are engaged in offering Fly Control Services. These services include an intricate job that includes both pest management programs and chemical measures. Also, the professionals ensure spraying of chemical pesticides in area of corridors and common areas where maximum fly resting is noticed. Even when production is suspended, we refrain from spraying chemical pesticides to control flies inside production areas. Apart from this, clients can get the services from us at industry leading rates.